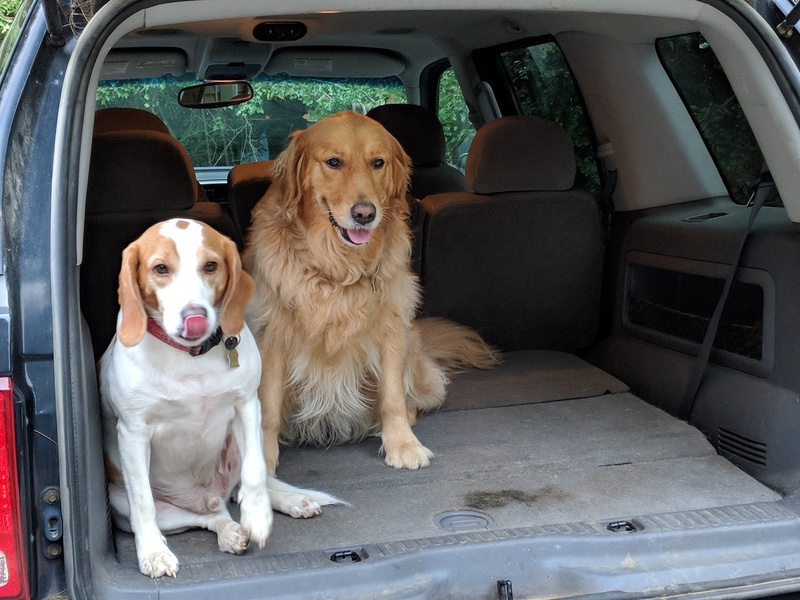 We Got An Old Ford “Truck” Just For The Dogs. He worked out that we might be going to McDonald’s. He was RIGHT. He got his burgers — yes, they each get two. 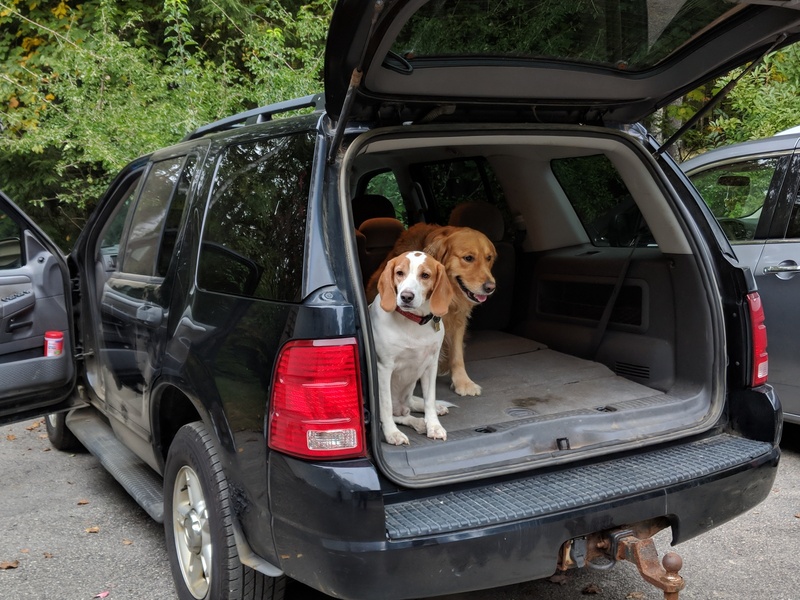 Yes, we got a 2004 Ford Exploder with 192,000 miles just for the two dogs. 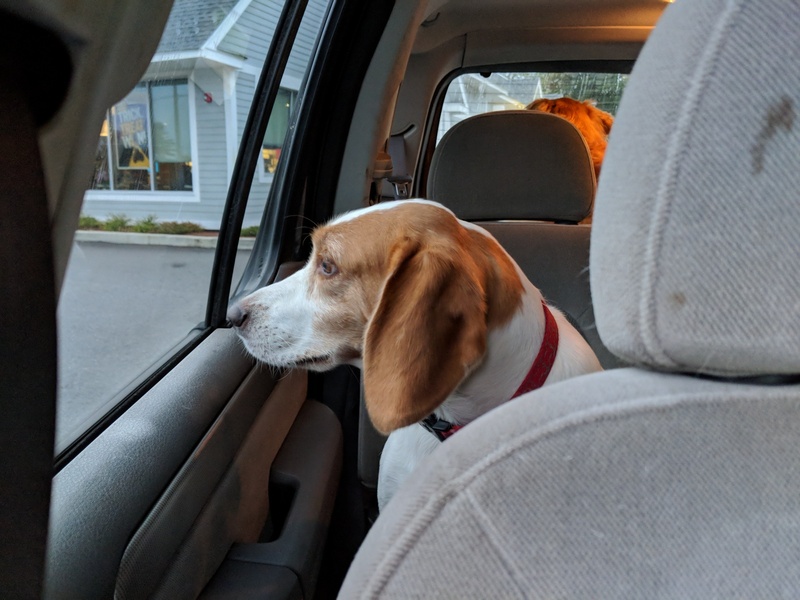 Since we got rid of our 2002 Chrysler Caravan in April 2018 the dogs haven’t had a vehicle of their own. This isn’t too much of an issue when they are dry and clean. They can go in the Nissan Quest. The issue is when they are soaking wet — like after they have been swimming in the lake. So, we got them the Ford. 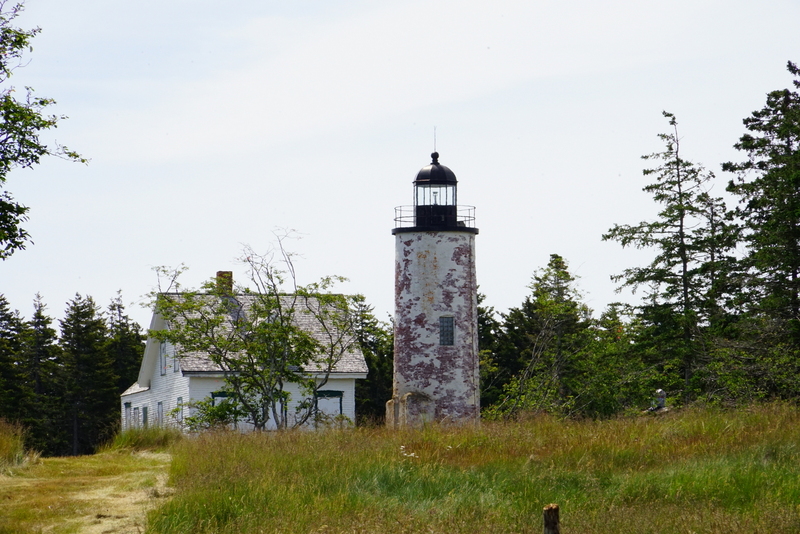 Now we can take them to the beach and bring them back — without me having to walk them back. The Exploder was filthy inside. Teischan spent hours cleaning it — for a price. She did a great job. 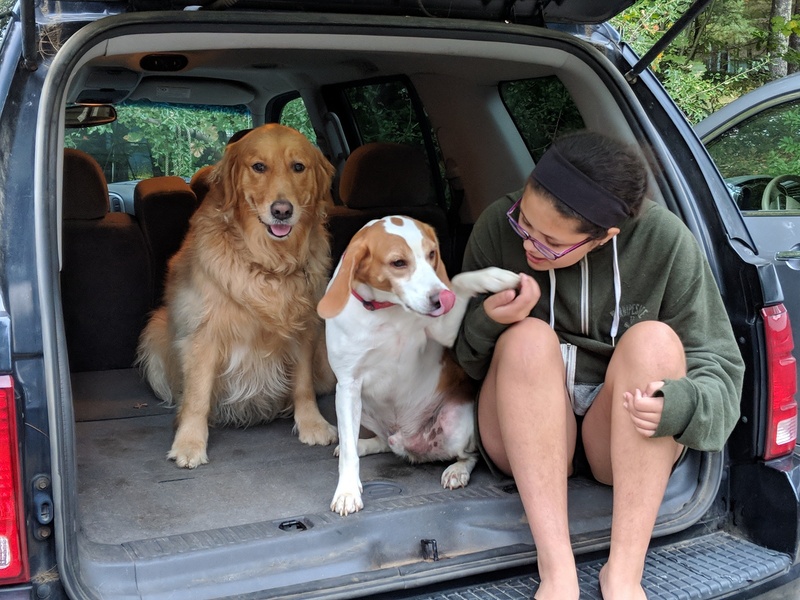 Once it was clean she wanted to take the dogs for a ride in their car. We ended up going to McDonald’s. They did not complain. They like their car. Now we have 6 cars — all inspected, registered and insured.